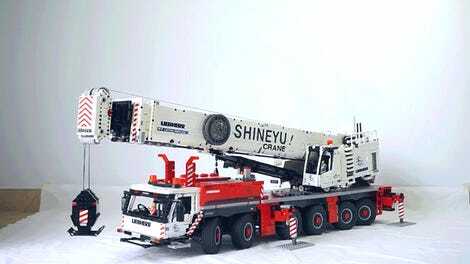 This definitely isn’t the first incredibly detailed Lego crane we’ve ever featured, but Dawid Szmandra’s 1:24-scale Liebherr LR 11000 literally towers over previous creations. With the boom fully raised, the model stands just over 24 feet tall, and weighs in at a hefty 60 pounds. But most impressive is the fact that it can actually lift and move furniture around. 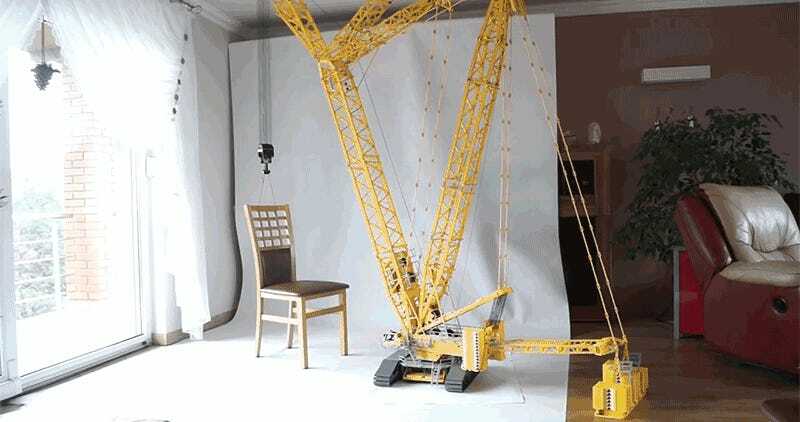 Szmandra is probably still going to need to call some friends over if he wants to move his couch or fridge, but his crane, powered by four Lego Mindstorms EV3 bricks, nine motors, and a handful of automated sensors, can easily handle chairs, toddlers, and maybe even a small dog. 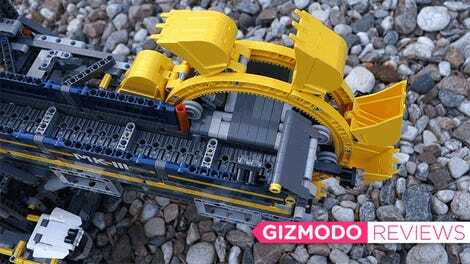 Don’t bother asking for instructions on how to build your own, though, unless you’re ready to spend a small fortune on yellow plastic bricks.